How To Choose The Best Cryptocurrency Exchange in 2019? Cryptocurrency exchanges let you buy, sell, and trade cryptocurrencies. Without access to a cryptocurrency exchange, you are unable to buy or sell digital assets. Though, there are some alternatives. Even so, that doesn’t mean that any cryptocurrency exchange is a good one. If you asked any seasoned crypto OG or trader to tell you a story about their first Bitcoin purchase, they are likely to tell you how they wasted significant amounts of money and time dealing with incompetent, buggy, or simply expensive exchanges at the beginning. It takes time to learn how to separate the wheat from the chaff, but you came to the right article. This guide will show you how to choose the right cryptocurrency exchange for you right of the bat. Before jumping into any random exchange someone recommended, you should consider many factors. The most important ones include exchange security, liquidity, fees, history, markets, and user experience. Finding the best cryptocurrency exchange for you can take some time and effort, but it is totally worth it. One easy way to do it is by reading expert reviews. To see our reviews and comparisons of top exchangesfollow this link. It’s also important to distinguish crypto-to-crypto and crypto-to-fiat exchanges. 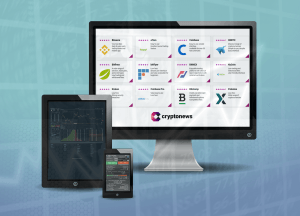 The crypto-to-crypto exchanges list only cryptocurrency pairs, while fiat-to-crypto exchanges are let you buy and sell cryptocurrencies with dollars, euros, pounds, yens, and other currencies. How to pick the best cryptocurrency exchange? When choosing an exchange, keep in mind that your mileage may vary. You may want an exchange that supports specific altcoins, trading pairs, and additional features such as margin trading or over-the-counter (OTC) deals. Security is by far the most important factor of an exchange. If an exchange is insecure, your funds could be stolen, leaving any other advantages it offers worthless. No one wants to lose his or her money, so In this respect, consider the following aspects. — The exchange’s web address should start with HTTPS. Avoid HTTP connections. — For login safety, it should use two-factor authentication (username and password plus a piece of information only you have). — Auditing programs that monitor exchange activity 24/7 and SMS and email alerts all give exchange customers additional security guarantees. — You may want to whitelist your IP address or withdrawal wallet addresses for the maximum security. — It’s recommended you use an exchange from the same country you are, as that can make it easier to comply with regulatory changes. It’s also possible, though, to use other exchanges in other countries. Note that some exchanges support only a limited number of countries. — Some exchanges may insure their funds, meaning that in case they lose your funds, you may be reimbursed. — Does the exchange reveal its owners, headquarter address, and the members of its team? — Transparent exchanges also publish their cold storage address or help check their reserves in other ways, like audit information. The higher the trading volume is, the more liquid specific exchange is. Liquidity makes it possible to complete transactions faster, more easily and without having to deal with price volatility. Also, see whether an exchange offers "locked in" pricing, which guarantees you the price at the time of your transaction even if it doesn’t settle immediately. Be aware that liquidity can be different for different trading pairs. It can be high for BTC/EUR, for example, but low for BTC/GBP. You can check the exchanges with the highest trading volumes here. — Compare all the fees an exchange charges. They’re usually less than 1% per transaction and may decrease if your trading volume increases. — Check the withdrawal fees. Some exchanges are known to offer unreasonably high withdrawal fees for specific altcoins. — Look into deposit fees, too. Many exchanges offer a quick and convenient way to buy cryptocurrencies with a credit or debit card, but such purchases also come with a 5% or higher fee. — Is the user interface simple and easy to use on both a desktop and a mobile device? — What do other users say about the benefits and drawbacks of a specific exchange, the support it offers and so on? Check community forums like Bitcoin Reddit or Bitcoin Forum. Most exchanges differ from one another in the aspects mentioned above. Some are designed for beginners, while others accept only wealthy seasoned traders. Binance — the worlds largest cryptocurrency exchange with a wide selection of cryptocurrencies. eToro — an ideal exchange for beginning investor who is interested in cryptocurrencies as well as traditional investing instruments. Bitfinex — an exchange for seasoned and institutional investors. Kraken — an excellent cryptocurrency exchange for both beginners and experienced traders. HitBTC — a crypto-to-crypto exchange with the largest selection of altcoins. Bitstamp — a fiat-to-crypto exchange where you can buy Bitcoin (BTC), Ethereum (ETH), Litecoin (LTC), Ripple (XRP), and Bitcoin Cash (BCH) cryptocurrencies. 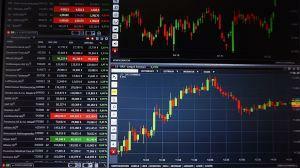 Bittrex — an all-around cryptocurrency exchange with many altcoin markets. KuCoin — a beginner-friendly crypto exchange for small-cap coins and tokens. Poloniex — a convenient crypto assets exchange with more than 60 assets to trade. BitMex — a contracts trading platform which lets you trade cryptocurrency futures and perpetual contracts. Coinbase — a beginner-friendly gateway exchange which offers one of the fastest ways to buy cryptocurrencies. Coinbase Pro — a more advanced version of Coinbase for those who want to take their trading into another level. For complete reviews of each exchange, please see our detailed reviews. Be aware that prices on different exchanges differ, too. You can find the best sell/buy prices here. In case you are not able to open an exchange account or for some reason the access to cryptocurrency trading is restricted, you can use services like Local Bitcoins to meet people in your area and purchase Bitcoins or other cryptocurrencies offline. 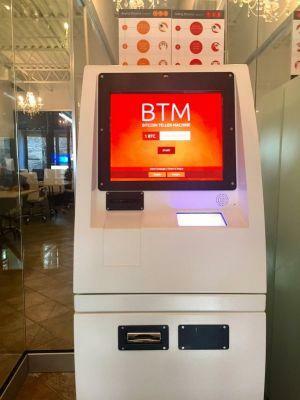 Another alternative is to use a Bitcoin ATM. You can a map with Bitcoin ATM's at Bitcoinatmmap.com. Bear in mind that Bitcoin and its infrastructure is still being developed so things might change quickly. There are already numerous decentralized exchanges in the talks, and many cryptocurrency experts believe they will change traditional exchanges for good. Besides, regulations may be introduced, and other new technologies or new problems may arise. So follow the news and stay up to date. The best Bitcoin or cryptocurrency exchange is different for everyone, so make sure to do your own research and stay safe while doing so. Next -What is Bitcoin mining?